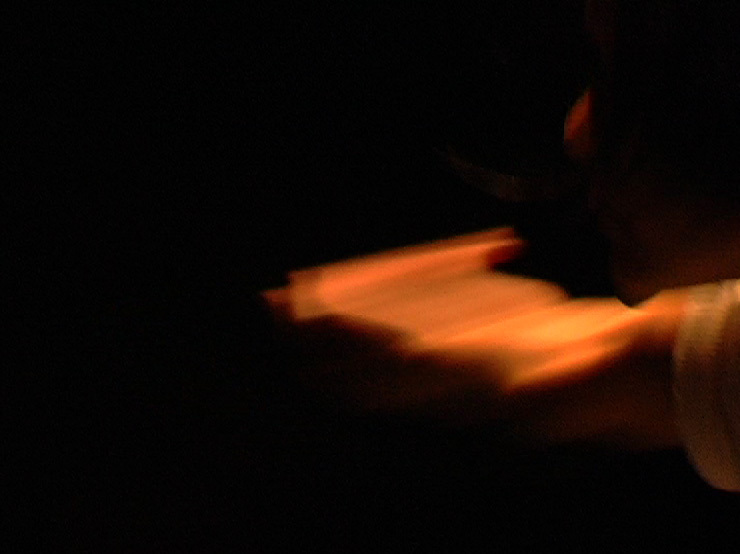 Conceived and directed by Johannes Birringer, the choreographic installation features designs by the DAP Lab and performances by Katsura Isobe, Helenna Ren, Yiorgos Bakalos, Anne-Laure Misme, Caroline Wilkins, Olu Taiwo and Mamen Rivera. With Ruby Rumiko Bessho in virtual space. Assistant video camera/editing by Anne-Laure Misme. Audiophonics consulting by Phil Skins. 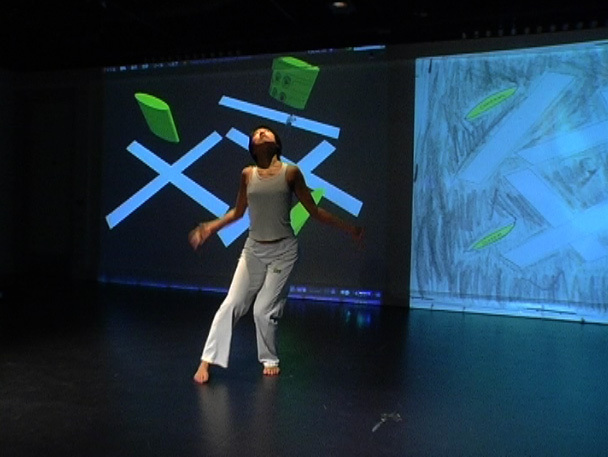 Virtual choreography and visual designs by Ruby Rumiko Bessho, Takeshi Kabata, Gekitora, Hidenori Watanave (Tokyo Metropolitan University) with partnership coordination by Yukihiko Yoshida and research cooperation by Miki Wakamatsu. Guest artists: Elegant Child, Keiko Courdy, Michael Takeo Magruder, Danielle Wilde. The music and visual choreography for "Ukiyo" are designed for interactive, real time gestural sound synthesis which also animates the digital projections and generative algorithms which interconnect with the physical space and the performer movements. 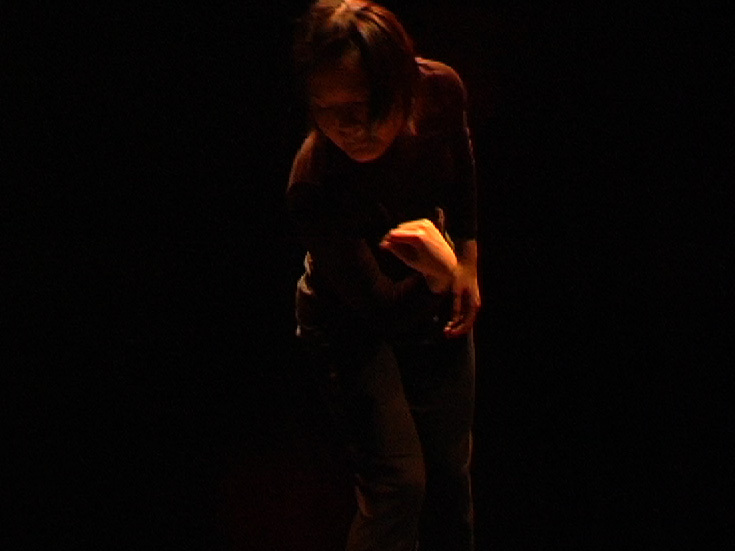 "Ukiyo" is based on a fundamental exploration and precise study of gesture and emotional expression within an interactive system environment that provides space for personal expression intensions yet also requires "performer techniques" and calibrations for the accentuation of kinaesthetic and kinaesonic gesture, movement and action. "Ukiyo" explores the layers of perceptions in an audiovisual world that constantly shifts and fragments, as well as re-generates building upon a system of visualization that has memory (machine learning) as well as indetermined behaviors. 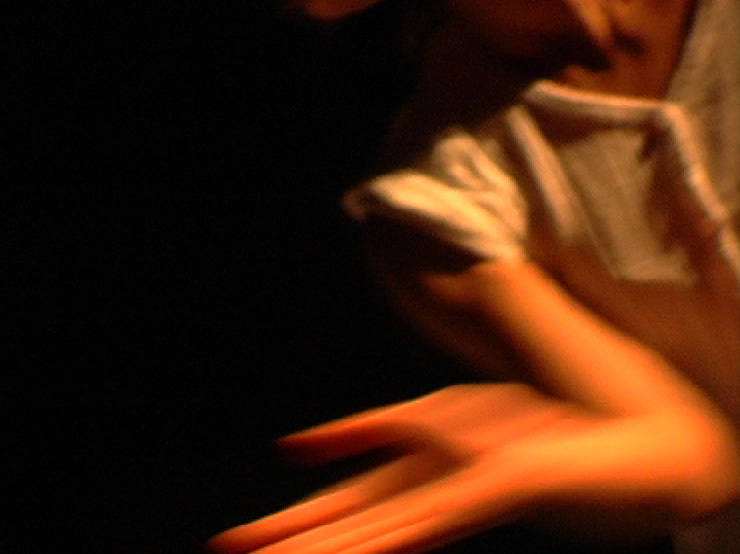 "Ukiyo" is performed by an international cast of several performers - Japanese dancer Katsura Isobe, Chinese dancer Helenna Ren, British dancer Olugbenga Taiwo, Greek actor Yiorgos Bakalos, French dancer Anne-Laure Misme and Spanish actress Mamen Rivera. Musican/composer Caroline Wilkins joins the ensemble as a guest artist-performer and instrumentalist. 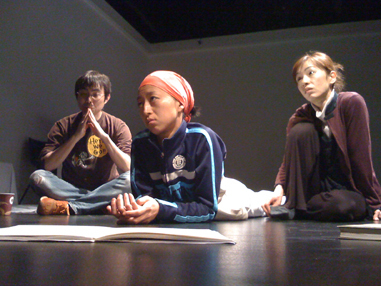 The performers' and designers' work is developed in partnership with digital artists at Keio University in Tokyo and has been rehearsed online (first performance on November 22, 2008) , as part of a cross-cultural research venture in virtual environments directed by Johannes Birringer, and coordinated in Japan by Yukihiko Yoshida. 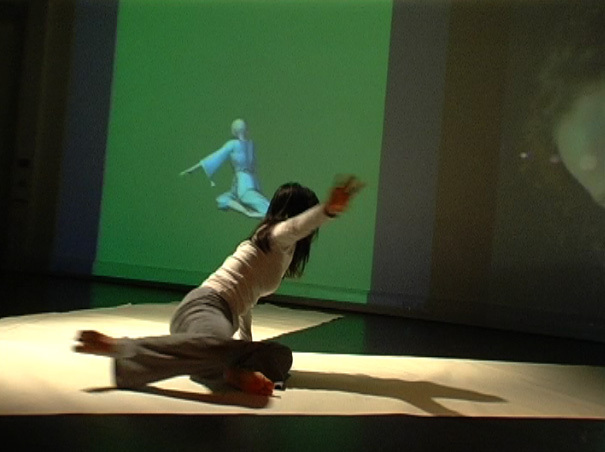 The partnership includes workshops in London (May 2009) and in Tokyo (November 2009), and final workshop at Brunel University in MJune 2010 with public performances on European sites and online in 2010. A tour or residency in Japan may take place in 2011. This research project is funded by a PM12 Connect/British Council Grant, and a RDF grant (Brunel University), and supported by an award from The Japan Foundation. 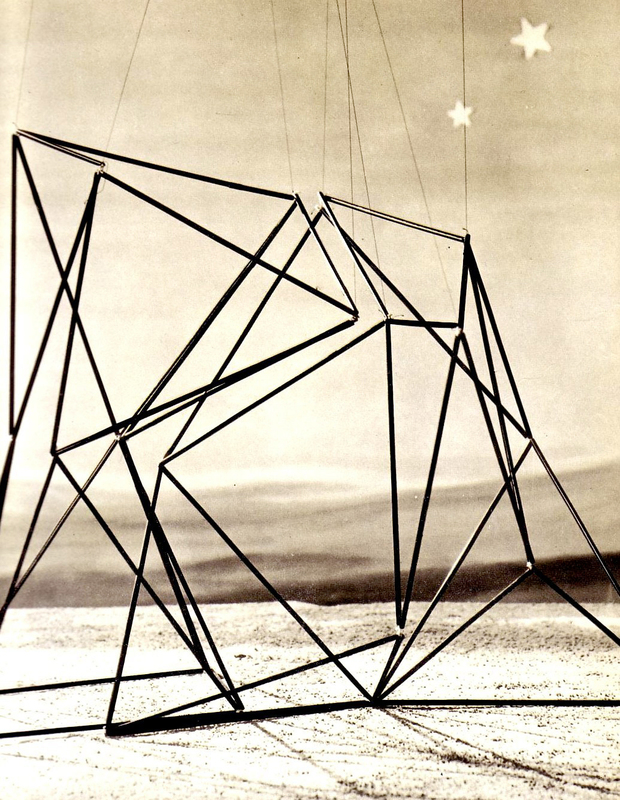 Special thanks to Christian Kracht, author of "Ich werde hier sein im Sonnenschein und im Schatten", for his inspiring novel, and to Siegfried Zielinski for his media archaeology.